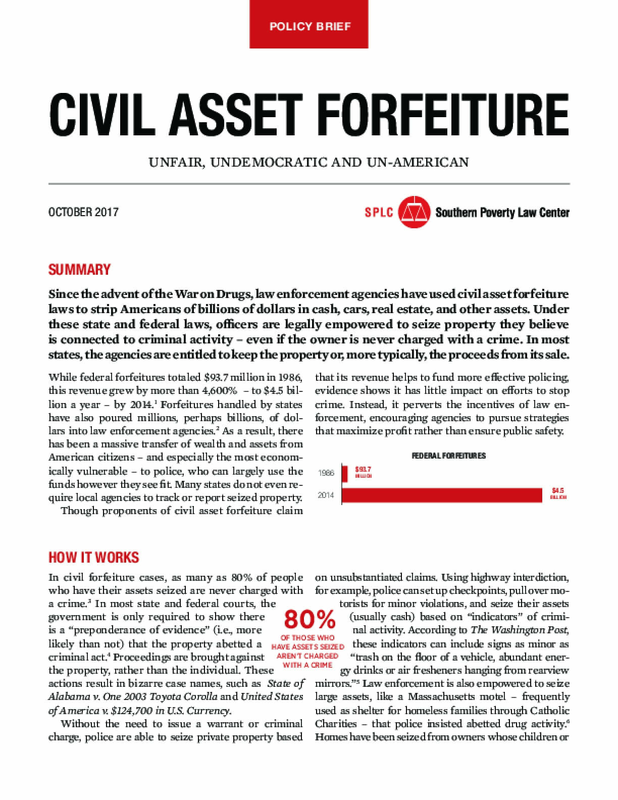 Since the advent of the War on Drugs, law enforcement agencies have used civil asset forfeiture laws to strip Americans of billions of dollars in cash, cars, real estate, and other assets. Under these state and federal laws, officers are legally empowered to seize property they believe is connected to criminal activity -- even if the owner is never charged with a crime. In most states, the agencies are entitled to keep the property or, more typically, the proceeds from its sale. Copyright 2017 by Southern Poverty Law Center. All rights reserved.